Tanzania Youth Cultural Exchange Network (TYCEN): A CALL FOR SUMMER VOLUNTEER WORK PROJECTS 2014 IN TANZANIA. A CALL FOR SUMMER VOLUNTEER WORK PROJECTS 2014 IN TANZANIA. We would like to acknowledge your cooperation for the past year(s), for most of you have been real supportive towards our volunteer programs and now we invite you for our 2014 Volunteer work project. Organization whose work is carried out through the phenomenal enthusiasm, dedication, and passion of our volunteers! We strive to make TYCEN a safe and inclusive space for everyone, welcome and celebrate diversity. As we reach out to the needy communities through our grass root volunteer work programs. We take this opportunity to invite you and or your group as well for the 2014 Volunteer work projects. Please note; TYCEN welcomes every individual, group, family, University (ies) and organizations interested in our programs. Notify us about your arrival date and participation by filling in the form under “VOLUNTEERS INFORMATION” from our website which is www.tycentanzania.org for better arrangements. Our short term volunteer programs commenced from February 2014 however our medium and long term Volunteer programs will commence soon if you are interested in it please write to us for the project titles and the Project calendar. For any inquiry do not hesitate to contact us. During the Volunteer work program, we shall be sharing every day interesting activities every after work; Cross culture interaction, games, sports, tradition dances and music, camp fires, occasionally there will be Goat and bull roasting only to non vegetarians , storytelling, Emergency tactics and many other interesting activities you shouldn’t miss. Please share this and tell friends, relatives, Youth volunteer coordinators, NGO coordinators, groups and hit now!! 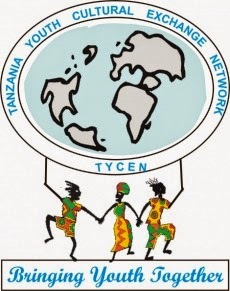 !Never plan to miss awesome volunteering opportunity with TYCEN TANZANIA. We shall appreciate so much your heartily support for our 2014 summer volunteer projects in Tanzania.